Articles from members with news worthy stories are always welcomed. If any member has a new product, has won an award, is involved in a particularly interesting project or has developed an innovative solution to overcome a particular problem, then ARCA News would be interested to hear. Just submit an article by email to The Editor Please note that articles are published at the editors’ discretion and free of charge. Unique advertising opportunities are available within ARCA News to ARCA and ATaC members. 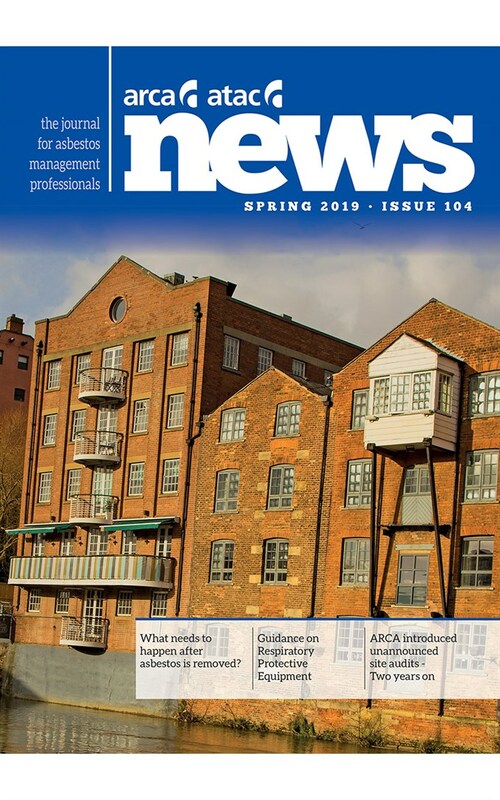 As ARCA News is the journal for the asbestos removal industry it is the perfect vehicle to communicate to the industry. Advertising is an ideal way to launch a new product, raise the profile of an existing product, advertise your services or recruit new staff via the situations vacant column. Full details of ARCA News advertising opportunities and dates are detailed in the Media Information leaflet. Increase your visibility to the industry … review the advertising opportunities and book your space today!